Living the cliche "a picture paints a thousand words"
Being able to see is a gift most of us take for granted. The sense of sight gives us the chance to view the world in all its splendor and natural beauty. Our two eyes become gateways to visual worlds we never before knew existed. Sometimes though, this gift of sight impels us to make rash judgments of people, things or places around us. We inevitably form first impressions of the things we see. These initial notions we have are sometimes positive, sometimes negative. Oftentimes, it’s these first moments of encounter which make or break potential relationships- whatever type they may be. Just like an unassuming red popcorn cart right smack in the middle of a park, anybody who happens to be exposed for everyone to feast their eyes on becomes vulnerable and susceptible to all forms of judgment. 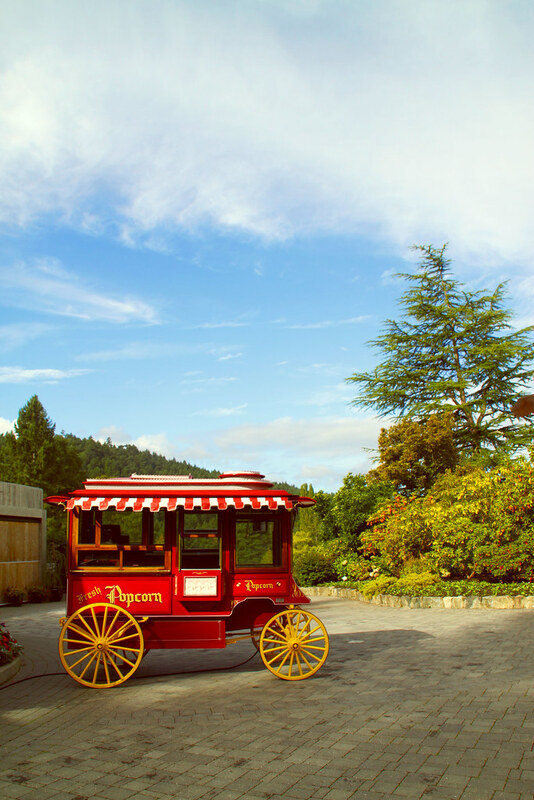 When people look at that red popcorn cart, they’ll come up with all sorts of perceptions about it. Some may think that it’s the most beautiful thing they’ve ever laid eyes on, while others may simply look away. Similarly, when you meet someone for the first time, your mind quickly processes what you see, and creates a profile of that person in front of you. When you see a woman sporting flashy jewelry, you’ll instantly think that she’s the ostentatious type. They say you should never judge a book by its cover. But without a cover, how else will we keep an imprint of that book? How can we possibly etch a memory of a person without associating him or her with a particular look? Also, remember; people only understand from their level of perception, so it’s not your fault if they only see the inessentials. hugot ba ito? My husband always tells me that I have the perfect eyes, because I always look beyond people’s looks (outer look). Kasi nakikita ko ang kabutihan ng tao at hindi ang magandang panlabas na anyo lamang niya at minsan kahit gaano sya kaganda sa labas na anyo kung pangit ugali, pangit talaga sya para sa akin. Sabi nga nila, the eyes are the window to our soul, so mas makikita natin din ang kabutihan ng tao kung titingnan natin sila sa mata. This helps to allow my skin to breath, and be au naturale. Beautiful and profound words. It’s true, that people only understand from their level of perception. Hence, at an early age, we make our kids (and by default, ourselves) see the world and understand the diversity of people’s perceptions. For us, it’s making them feel all the parts of that big grey elephant so they can put the pieces together and understand the purpose of their existence by understanding the global world they live in.